← We Moved To Houston!!! June is almost here while I share my heart’s thoughts, however by the time you receive this writing Summer of 2015 will be upon us. This is Warrior Bride, checking in with each of you and sharing about the Great Unconditional Love of our Father God. Here in the USA we celebrate Father’s Day in the month of June. Some of you reading this are Father’s, however every one of us could not be here without one! I have heard it said on more than one occasion “I don’t have a Father” or “I have never had a good relationship with my Dad” – I have Good News for you! If you are a believer in Jesus Christ, His Father is now your Father! He has adopted us and we are now His sons and daughters! No matter if you grew up with a fantastic father or you have never even met your earthly father, the Lord wants you to learn about Him and His Unconditional Love for you. Well if any of you have read my writings before you know that I don’t want you to just take my word for it. Let’s look to see what God has shared with us in His Word about this matter of son-ship! Galatians 3:26-29 (NKJV) 26 For you are all sons of God through faith in Christ Jesus. 27 For as many of you as were baptized into Christ have put on Christ. 28 There is neither Jew nor Greek, there is neither slave nor free, there is neither male nor female; for you are all one in Christ Jesus. 29 And if you are Christ’s, then you are Abraham’s seed, and heirs according to the promise. Ok, now that we have the “issue” of our son-ship out of the way, let’s go back to our subject heading. I know that in my young adulthood, I thought I had God, the church and Christians all figured out. I was hurt, deceived and received spiritual abuse by those who I had put my trust in. Because of people – some who meant well and others who were “posing” Christians, I lost my way. It was 15 long years of me trying to make my own way in this world, with a constant emptiness in my heart. However, no matter how many times I cursed God, cursed Christians or anyone who even acted like they believed in Jesus – God continued to reach out to me with His Love. I was blessed with two healthy boys after 4 devastating pregnancies that did not come to term. The Lord would put people in my path that would speak life to me and encouragement in places and situations I never thought I would find God. It was not like I entered a church. Job promotions, houses, vehicles – prosperity all the while still doing my best to run from God. I would attend conferences and seminars where the speaker spoke as if I was the only one in the room. It was January 2004, when I finally surrendered my will to His and acknowledged to God and to myself that I could not live any more without Him. I did not want to “be a Christian” or “do church” like I experienced when I was younger. I knew at this point that I wanted God to be a constant in my life and with me everyday. It is true that God will never leave us once we commit our lives to Him. However we must then give Him our unconditional trust and make room for Him in our day to day existence. He never lies and always speaks the truth. When I asked to be filled to overflowing with the Holy Spirit, God answered my prayer. Now He is always available, He lives inside of me – Great is our Father, Great is our God! With this wonderful gift of the Holy Spirit living inside of me, I have learned to communicate with God on another level! Yes they are right, my husband is currently serving time in TDCJ, however this is not because our God has failed us! Because the Holy Spirit lives inside of us, we are not afraid! We know that our God can deliver us, but even if He does not, we know that His Unconditional Love for us while we were bound in our sin – deserves our unconditional trust in Him! While we were in Harris County Jail, we believed that God could deliver us from prosecution. In His wisdom, He did not – instead He birthed in us a desire to serve Him greater than we ever had before. My beloved was able to be a part of Mike Barber’s Leadership Program. As my husband grew in God’s word, I was able to have empathy for thousands of women who have walked this road before me. Some maybe thinking – No way I would be able to say that, let alone think it! My Warrior Husband and I had the strength to overcome because of God’s Great Unconditional Love for us. We may not ever fully understand all of the reasons here on earth, but we trust Him with our very lives. 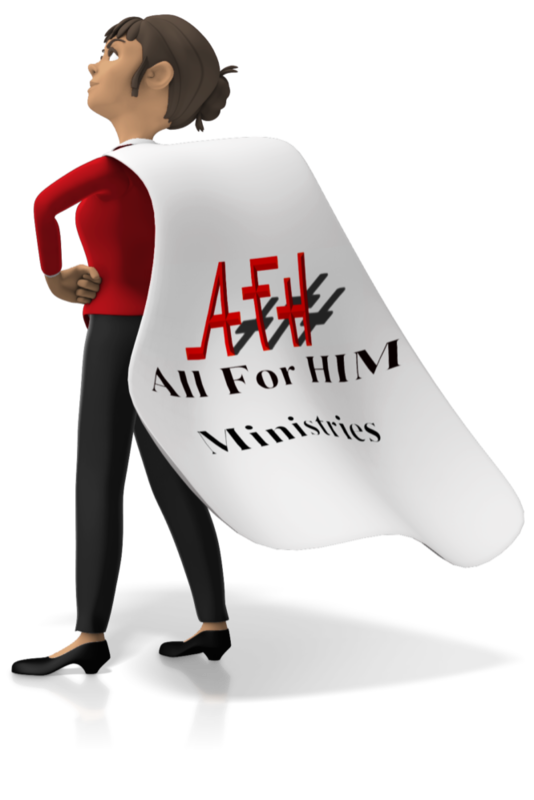 With the Holy Spirit inside of us to lead and guide our steps, we started this ministry – All For HIM! We have been transferred to different units, gone through several lockdowns and yes even received two setoffs for parole. The road has not been easy, we have had challenges with communication snail mail, broken phones, unit schedule changes impacting our phone time. We live on a budget to make it through inside and here at home – but through it all we have God’s peace in our hearts. You see our Father God is Great! His love for us flows out from Heaven like a great waterfall and we are standing in His overflow! When we follow His plan for us and reach out to our brothers and sisters who have fallen behind, caught in a trap or were pushed over the edge of their belief in Christ– we are made aware more and more each day that we are exactly where we NEED TO BE in God’s Prison Harvest Field. When I reflect back on the last three years of this journey; I can see the point when we told our Heavenly Father Yes to His Will and to His Way – it meant Unconditional Trust to His Unconditional Love for us. We are preaching the Good News of Jesus to the poor, we are healing the brokenhearted with the Power of His Word and we are proclaiming liberty to those in captivity – opening up the prison of sin to those who have been bound by satan! All we are, All For HIM! The great thing about this journey, we are Not Alone! The Lord gave us the power of the Holy Spirit to reside inside of us, He is our Comforter. The Holy Spirit helps us to keep our eyes on Jesus, with God in our hearts we will not fail! No matter where you are in your prison journey, a new believer, on death row, going home this year, doing life or maybe a prison wife – know that because of God’s Unconditional Love for you, He deserves your trust and He is waiting to give you the same gift He has given us. The Holy Spirit to comfort you, lead and guide you and to give you the power to overcome sin! What a Great Father He is, I pray that you will let Him become the Captain of your life today. 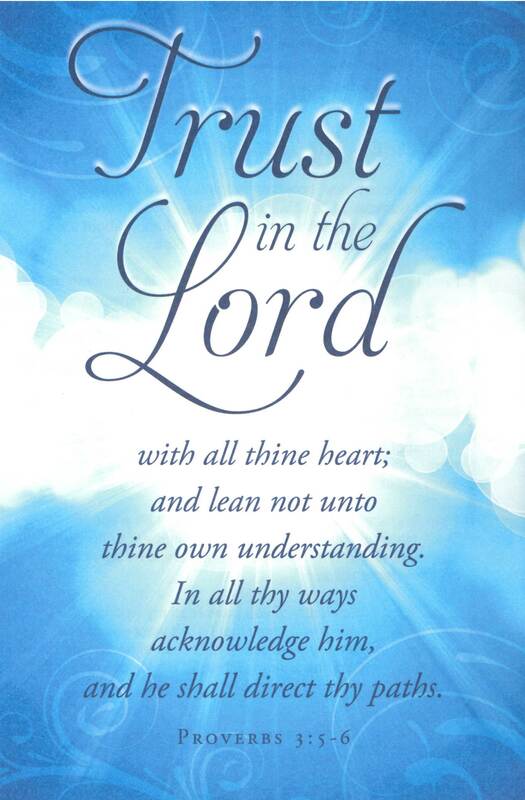 Be sure to write in and let us know all about it – God deserves our unconditional trust!